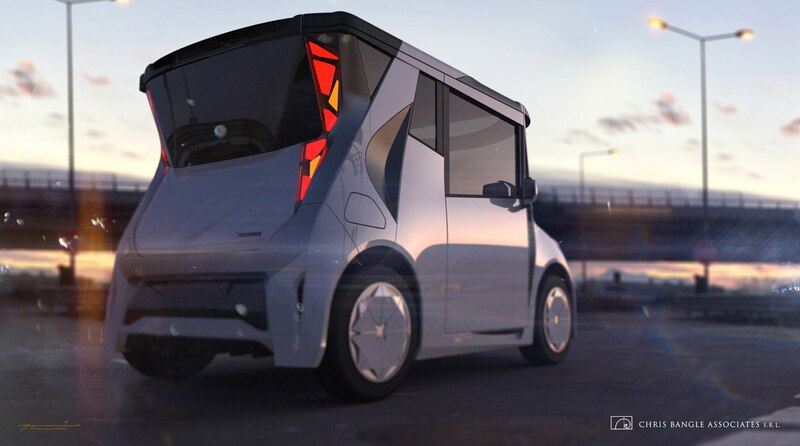 This is not a car. 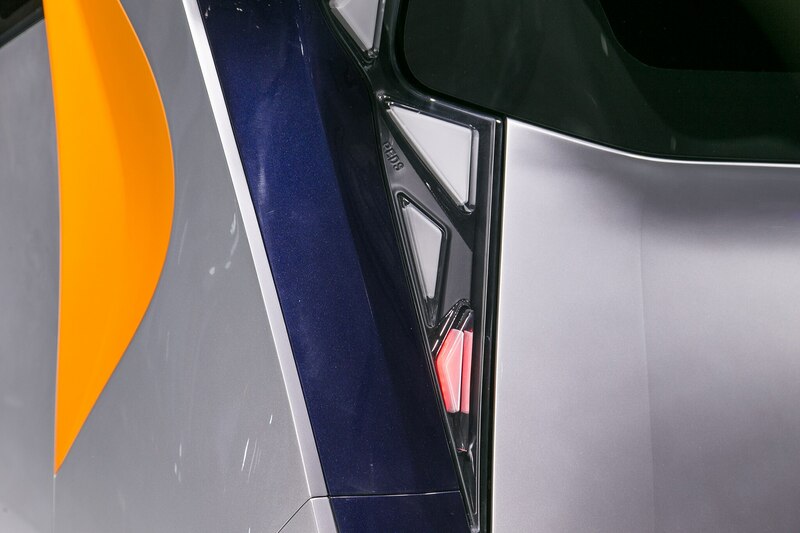 It is something else. 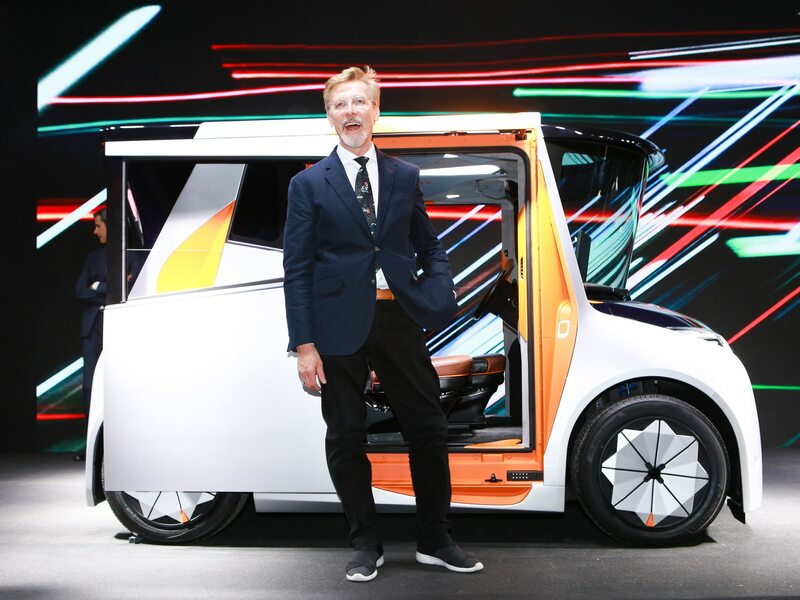 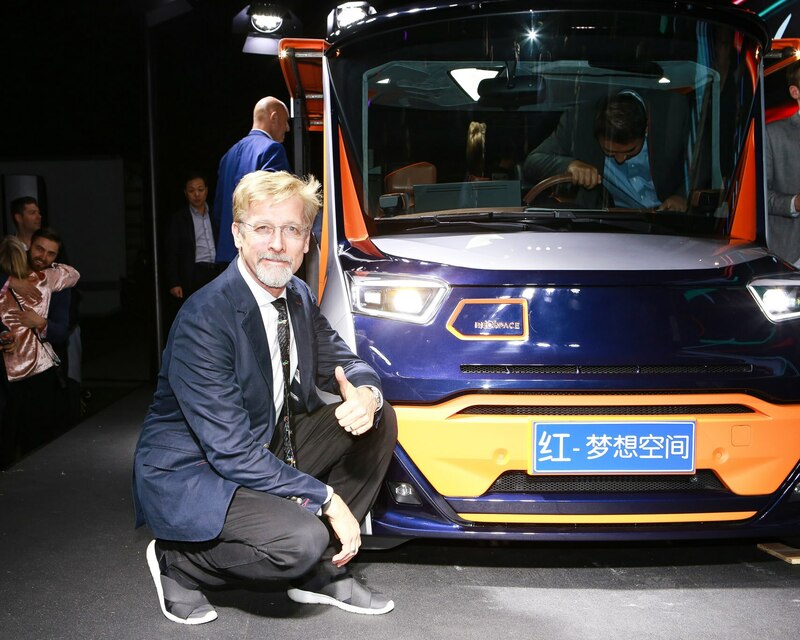 Chris Bangle has designed cars for Fiat, Opel, and was lead designer at BMW for 17 years before he started his own design firm, Chris Bangle Associates, in 2009. 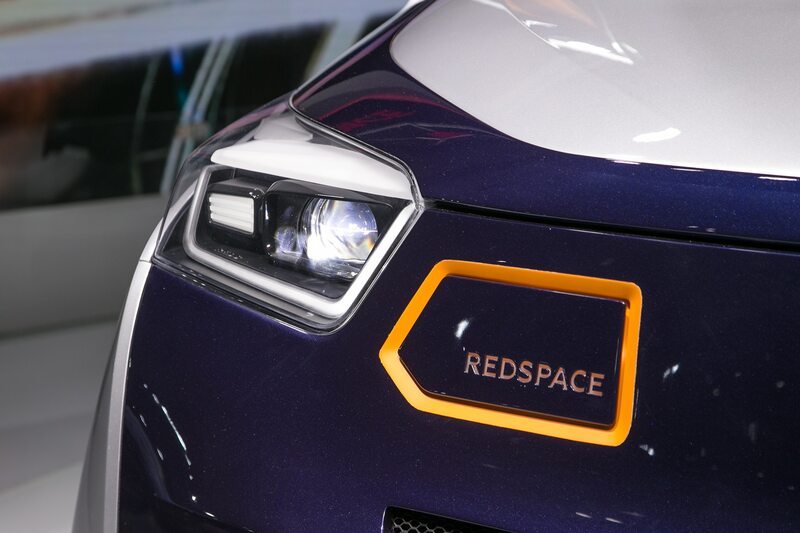 Bangle is back with probably his most unique vehicle ever—a funky electric vehicle prototype called Reds—short for Redspace, which made its world debut at this year’s L.A. auto show. 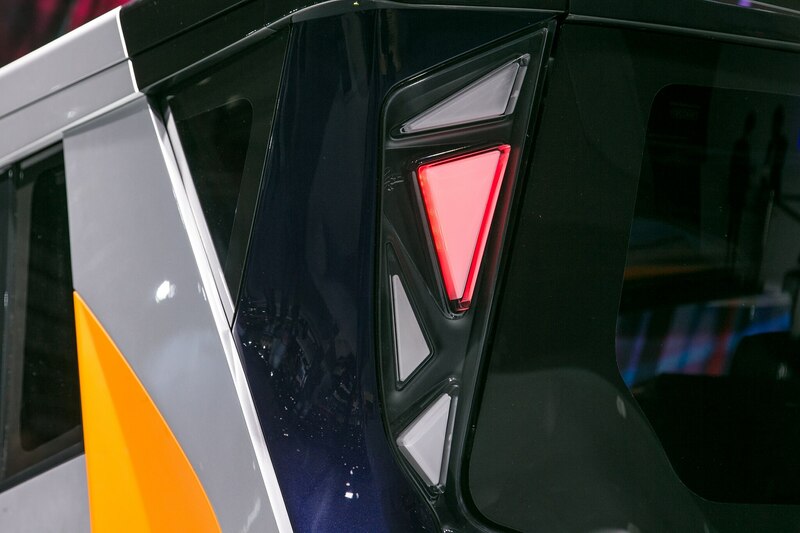 It looks like a kid’s drawing or something you would see in an animated cartoon with its half-moon window, front and rear roof overhangs, and its A-pillar wings. 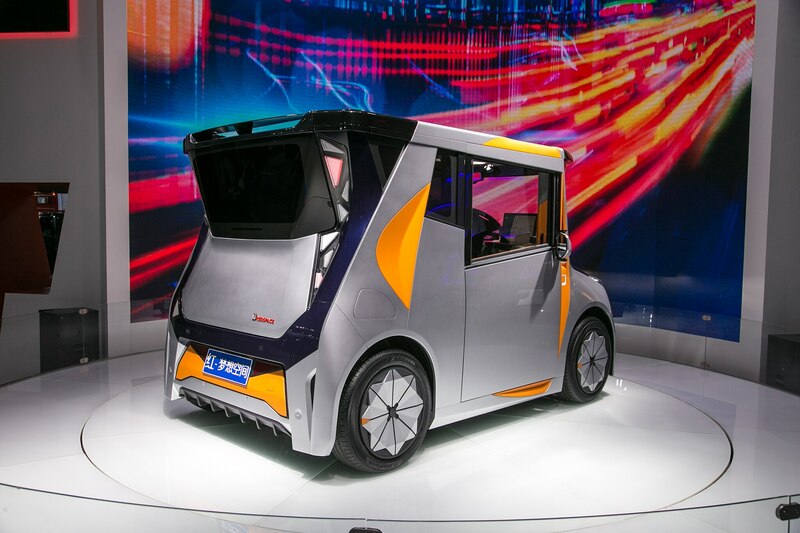 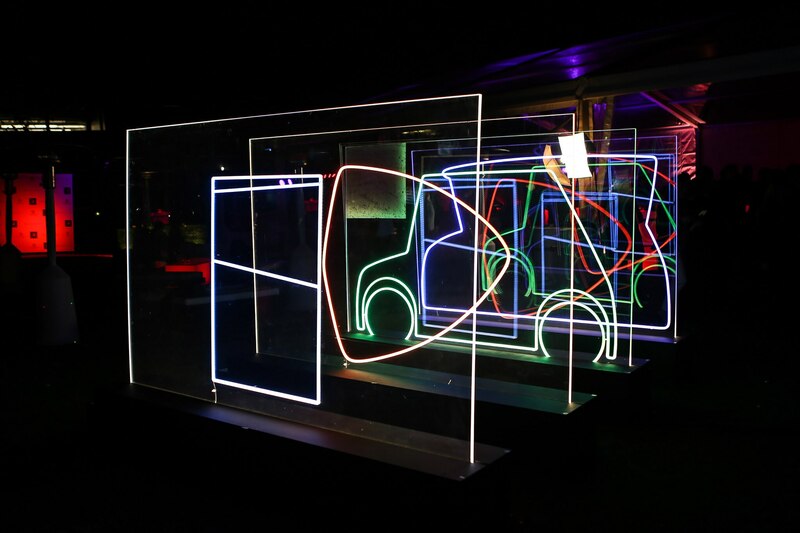 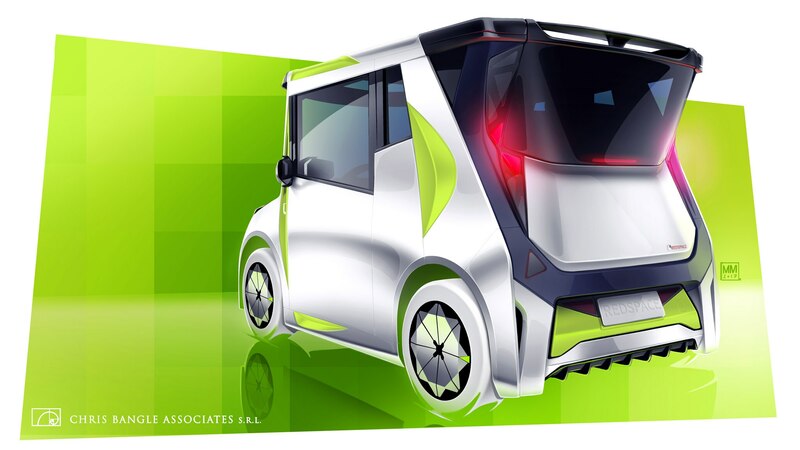 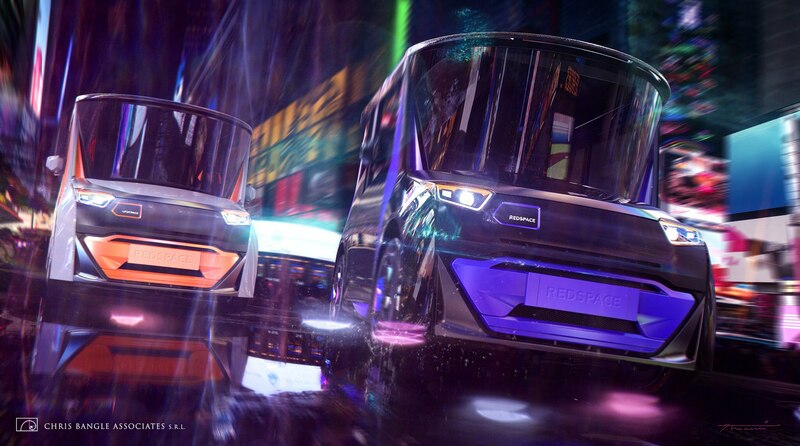 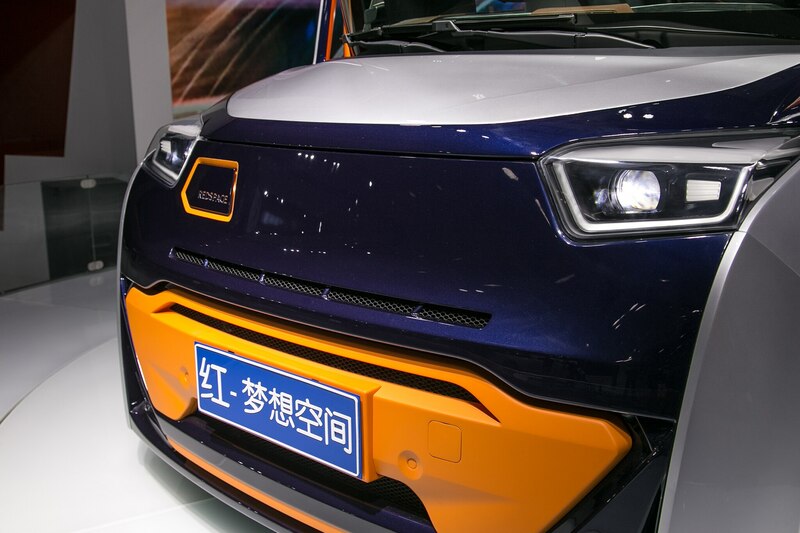 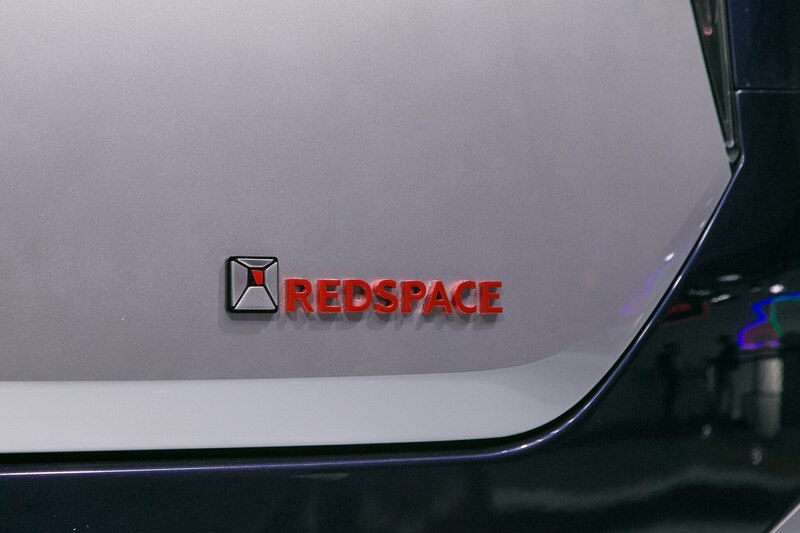 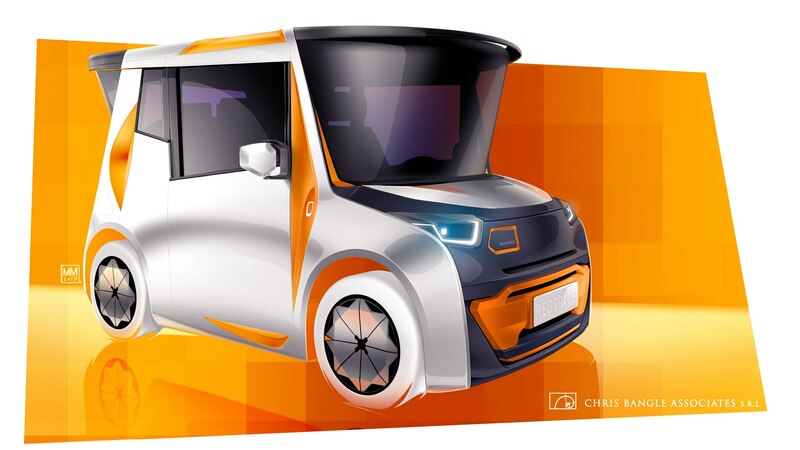 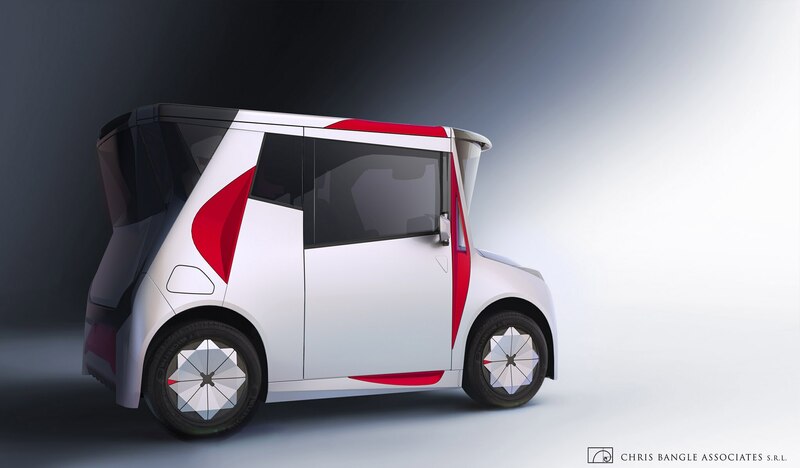 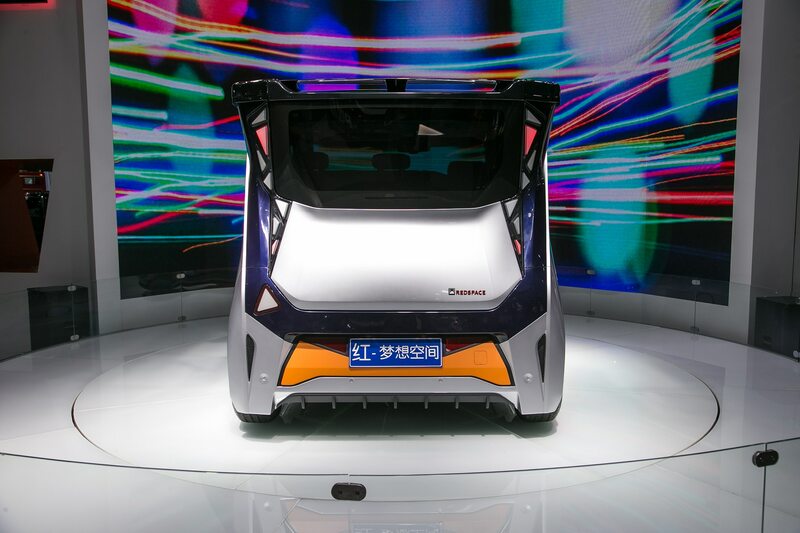 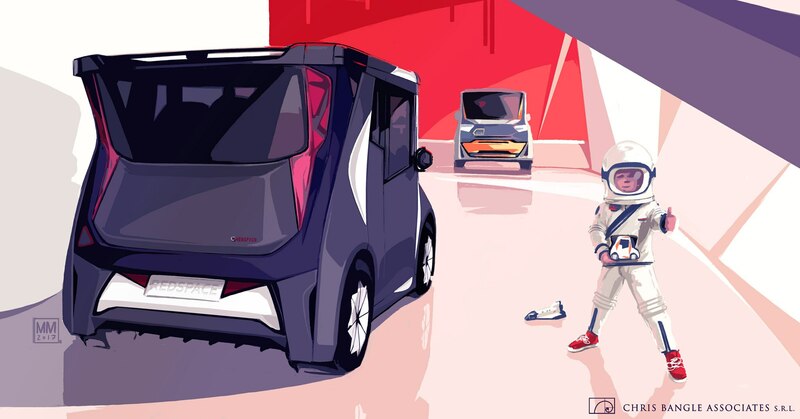 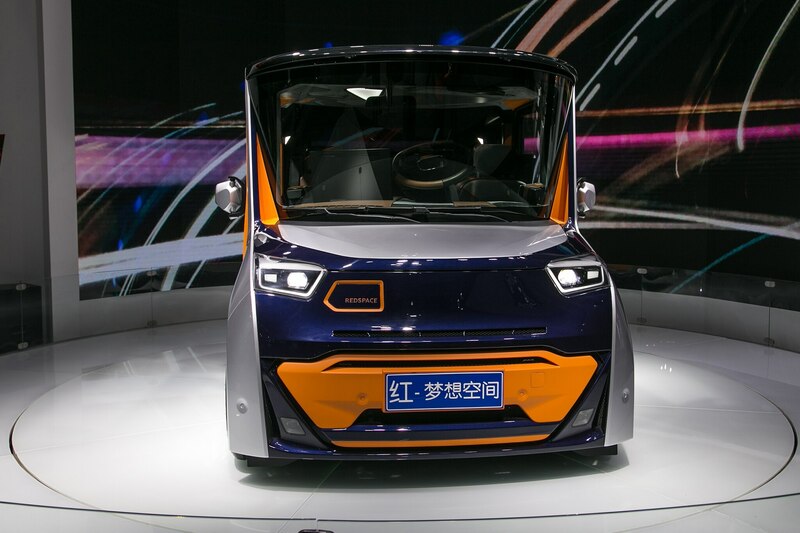 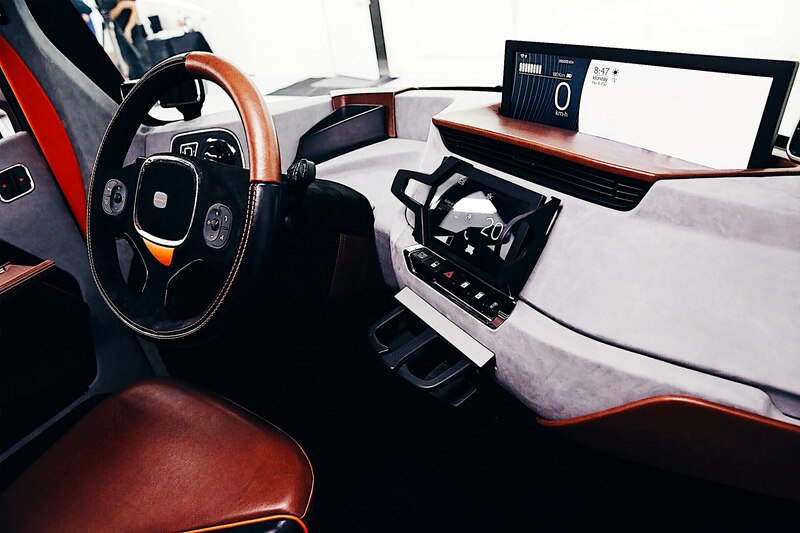 According to its maker, the Redspace Project started five years ago, when China Hi-Tech New Energy Automobile Co., Ltd (CHTC Motors) connected with the designer’s firm. 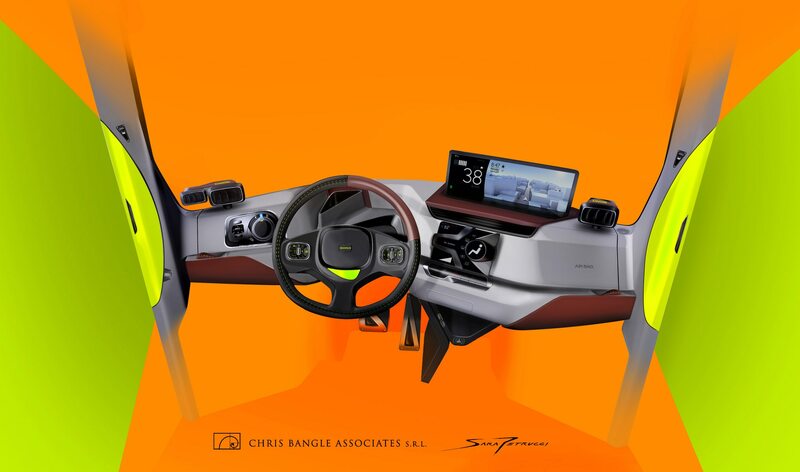 Bangle says that he has “designed a space that decided to become a car” and Reds was designed from the inside out. 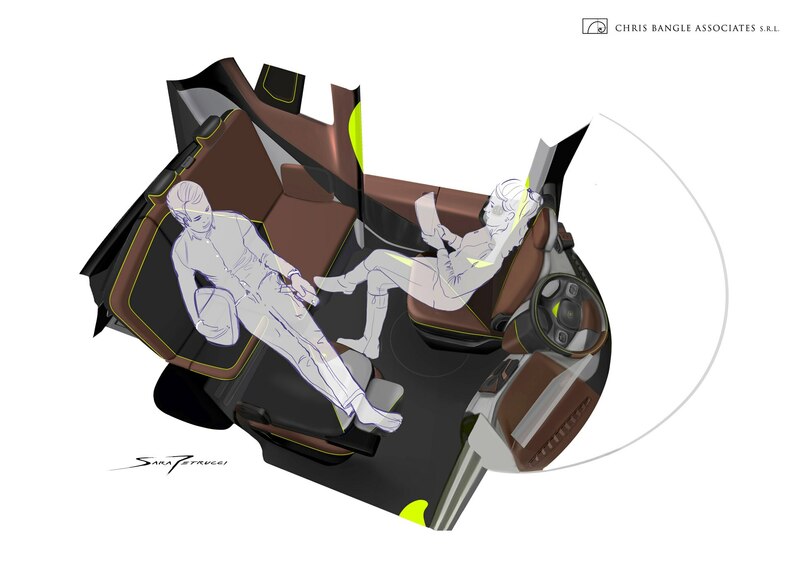 “We’ve created a new design language that is at once friendly and immediate, but at the same time subtle, ambiguous, and textually layered,” said Bangle. 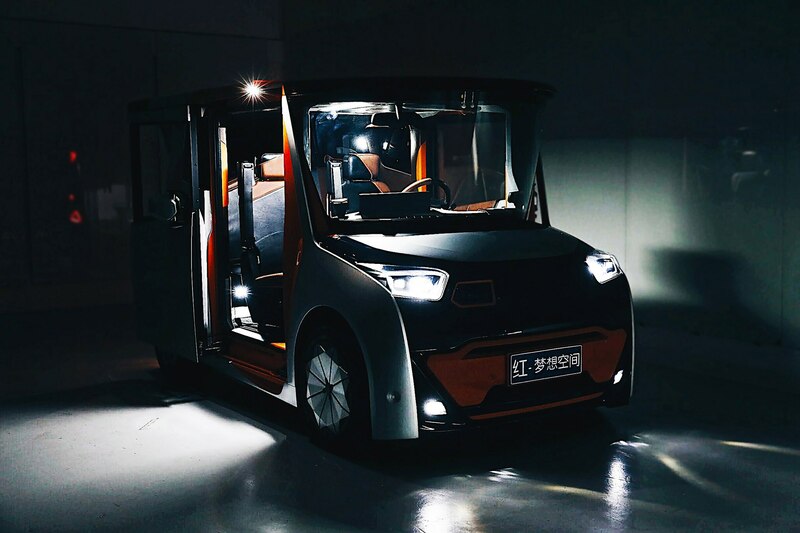 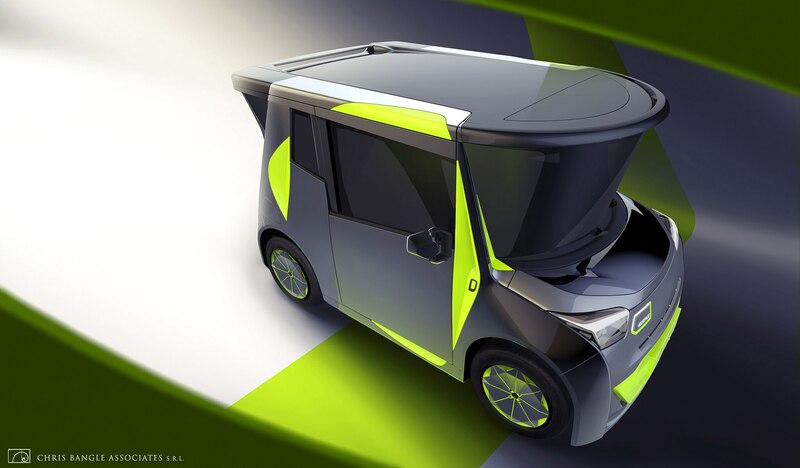 The all-electric vehicle with rear-wheel drive features a customizable space with seats that swivel and slide to suit its occupant’s needs. 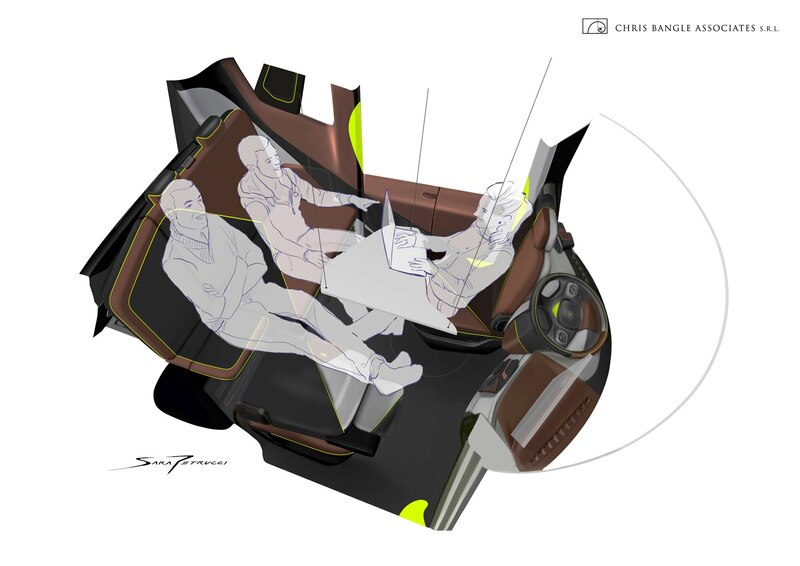 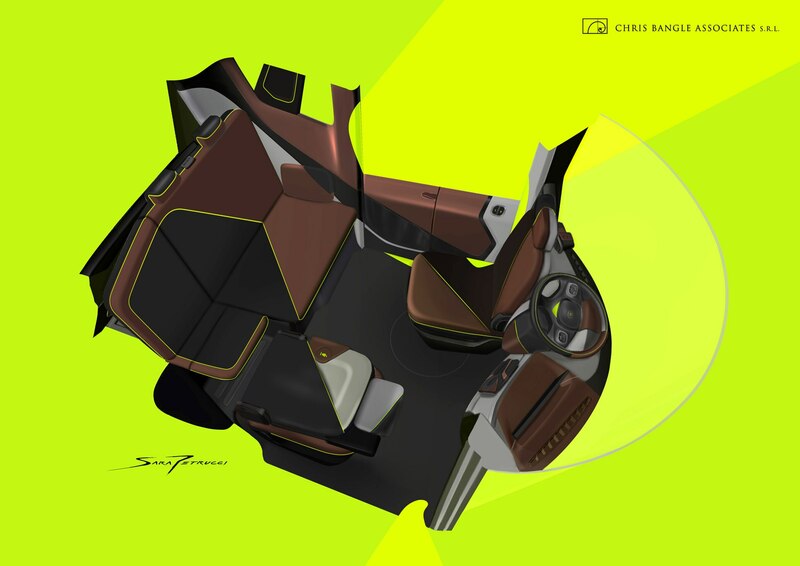 The driver’s seat can rotate 180 degrees when the car is not in motion, so that the vehicle can be used as an office or living space too. 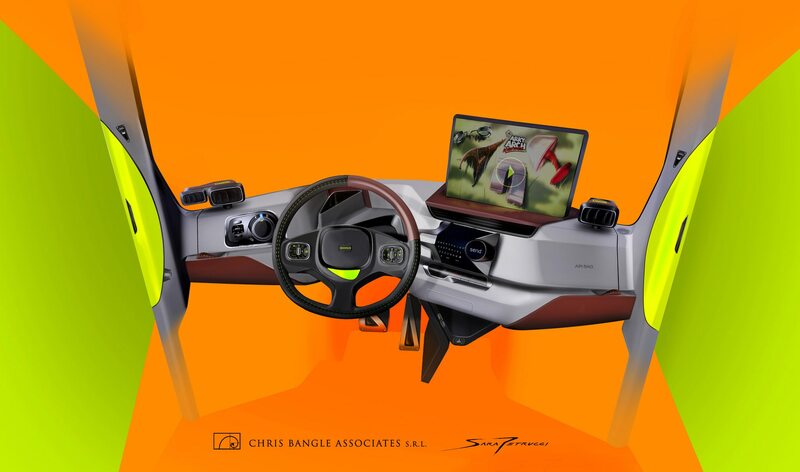 It has a 17-inch pop up screen that retracts to a third when driving. 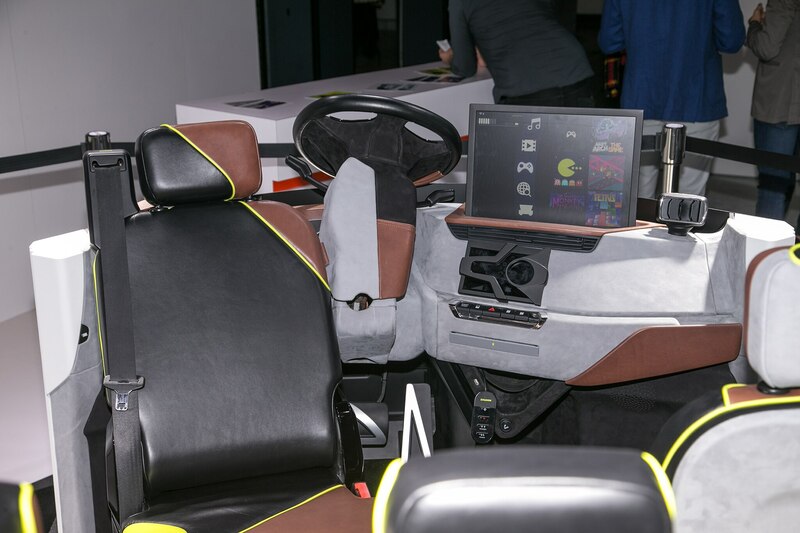 The steering wheel folds up for space as well as the rear jump seat. 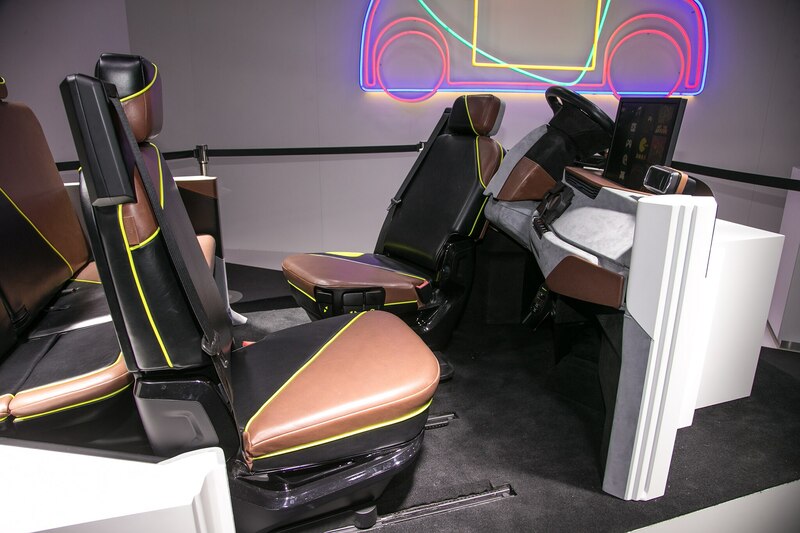 There’s a wraparound rear love seat back there too. 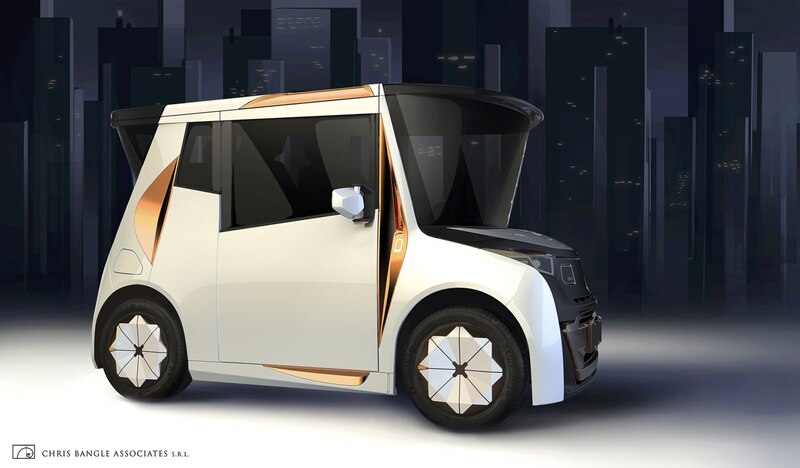 It has solar panels on the roof to power internal functions like an air filtration system, without drawing energy from the battery according to the project’s website. 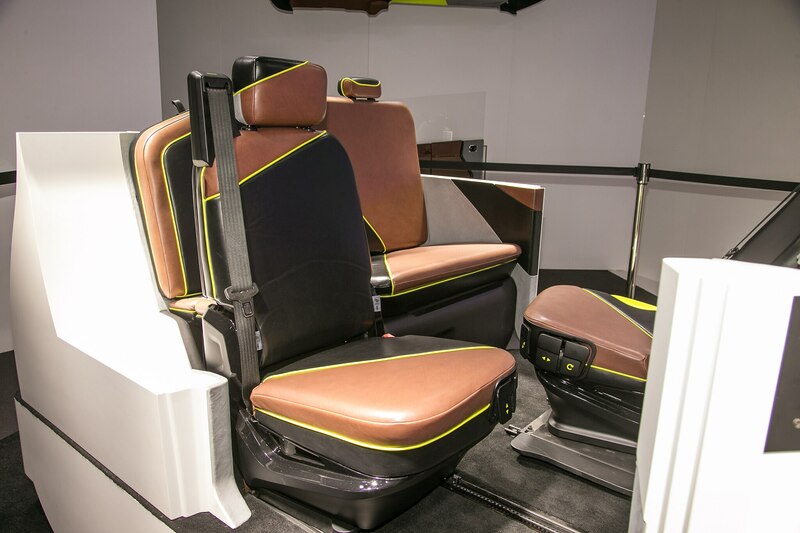 The four-seater (seats five when parked) offers parking assist, cordless charging, auto braking, and an unspecified driving range per charge. 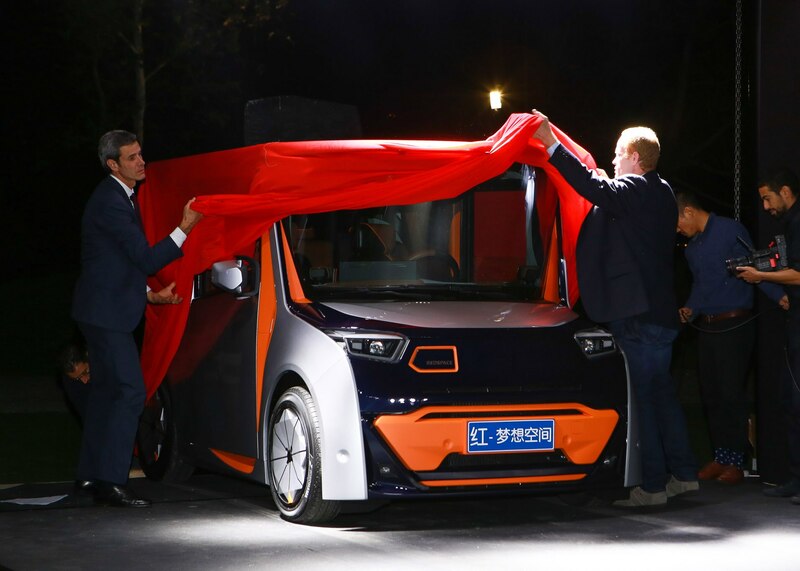 There’s a nifty sliding Cartesian door (like a minivan’s) that creates an awning when opened—which should come in handy during the rainy season. 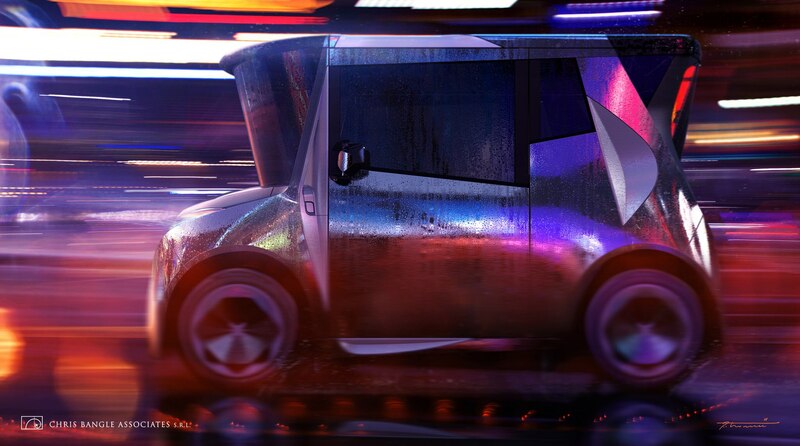 Reds was built in Turin, Italy as a fully functional running prototype. 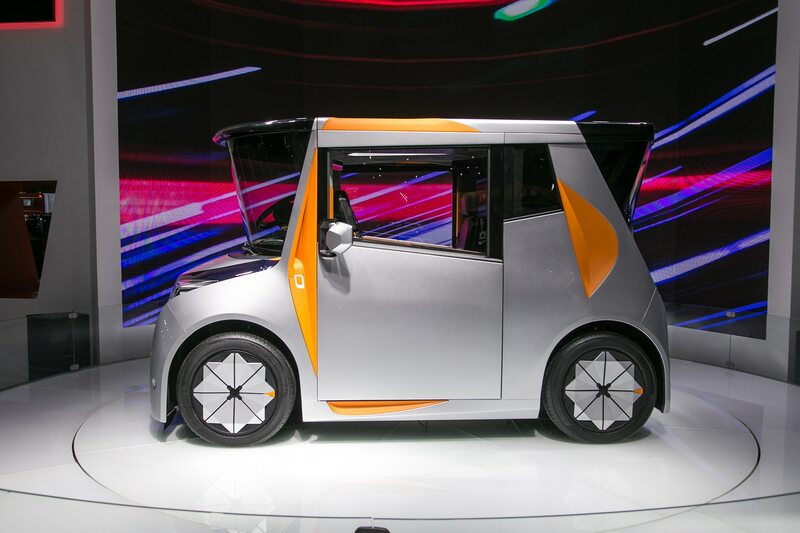 It is slightly longer than a Smart ForTwo and measures 117.2 x 65.5 x 69.2 inches (L x W x H). 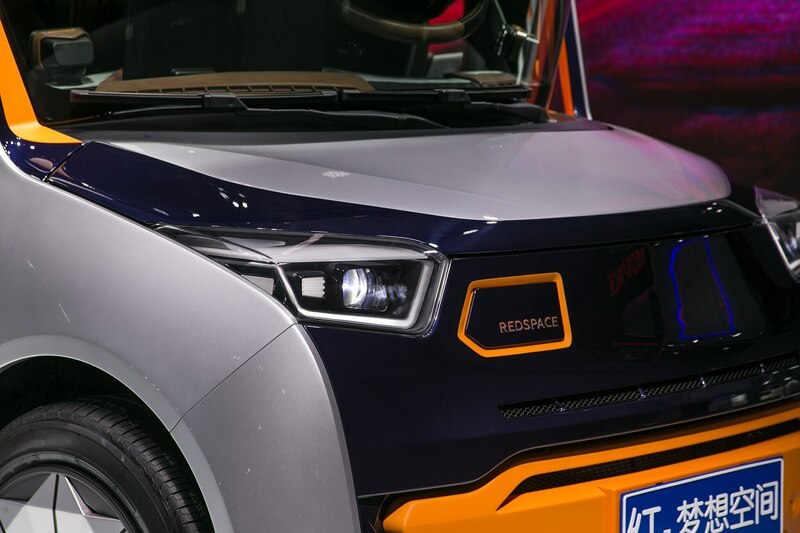 It has a wee wheelbase of only 56.7 inches. 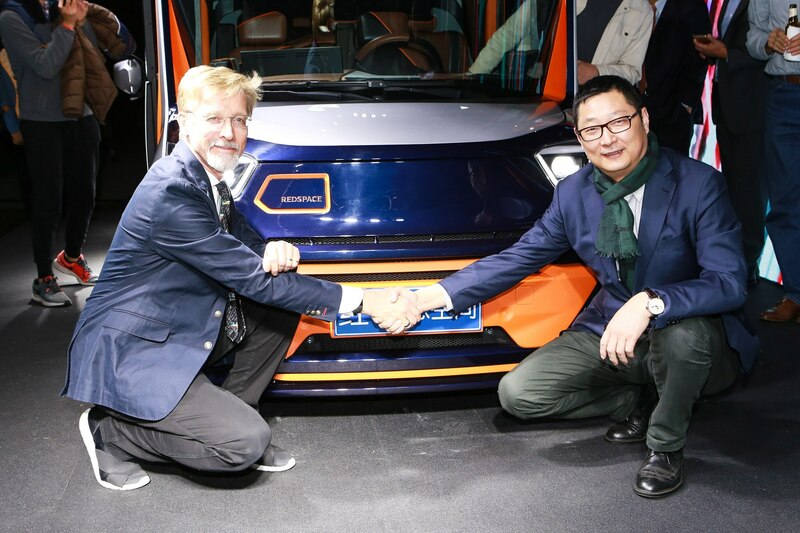 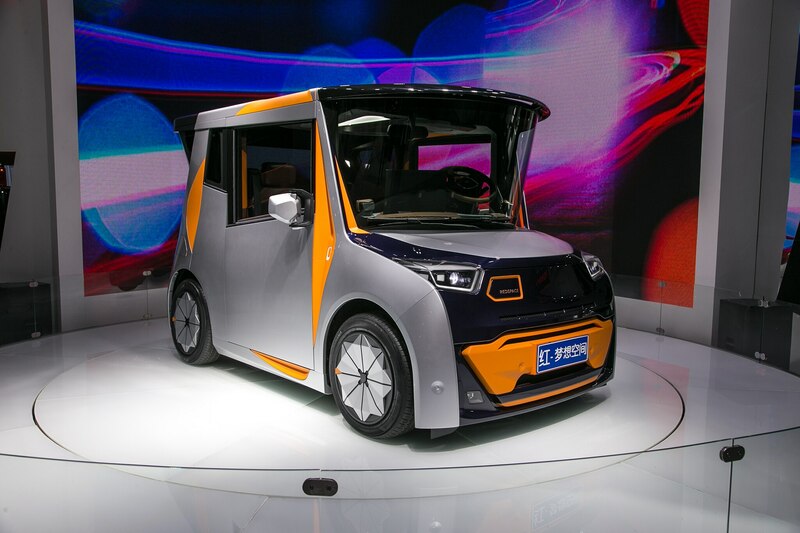 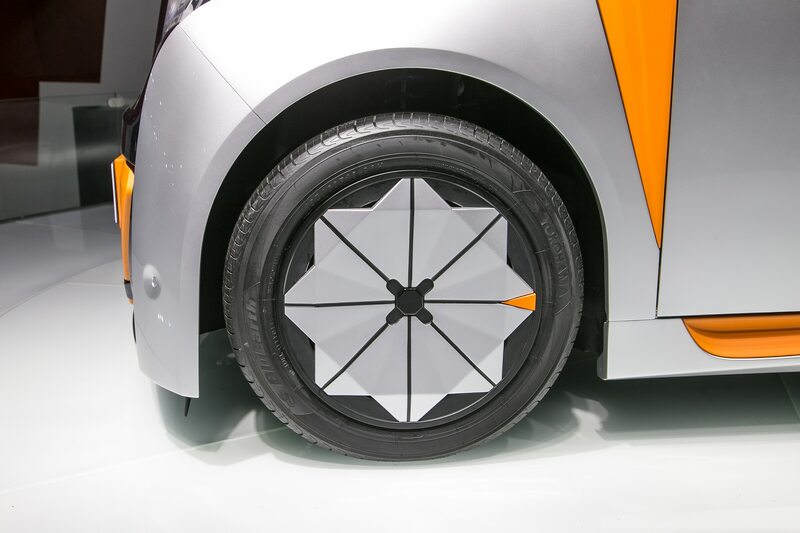 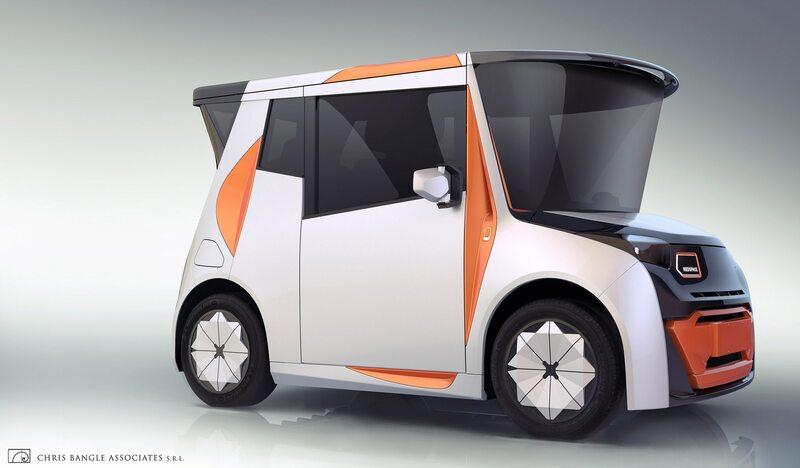 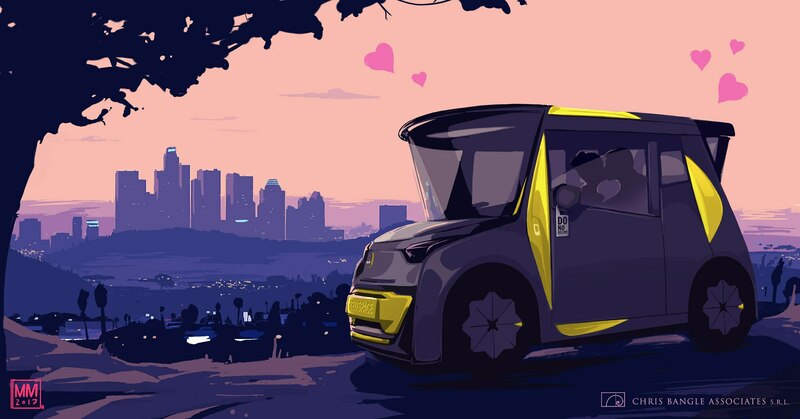 The little EV will undergo more testing before its production plans are finalized.